Paris Jewelry Shop. Match 3 game. Audrey is a great lover of jewelry, and seems to know everything about them. 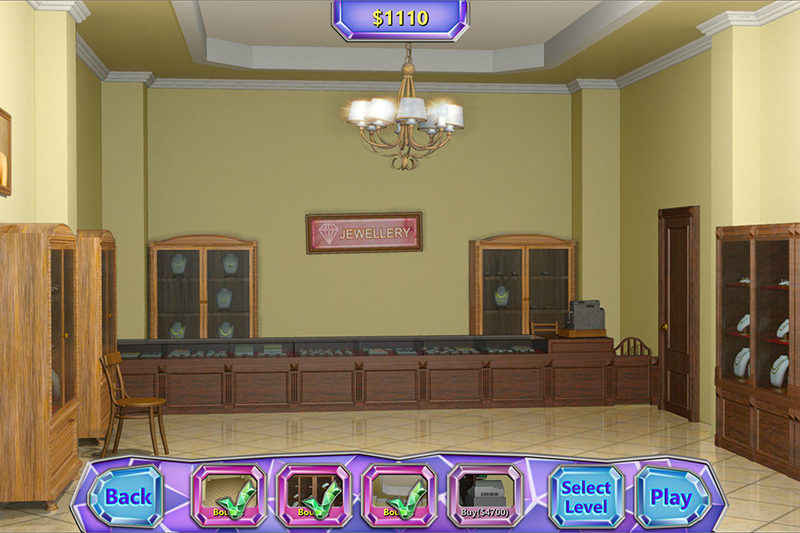 She decided to buy a jewelry shop. But all of her savings will suffice only for a small old shop on one of the streets of Paris. Unfortunately the shop is in terrible condition. Customers would not stay here longer than a couple of seconds! It's time to renovate it. 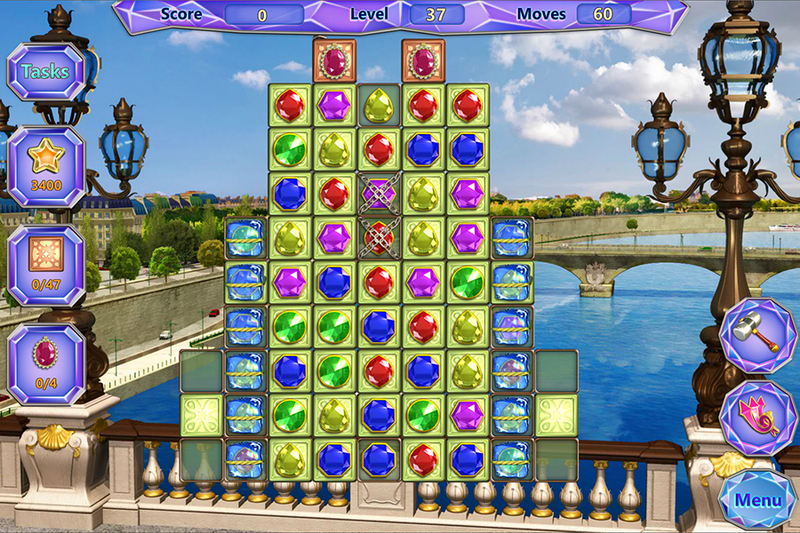 Colorful match 3 game for jewelry lovers. 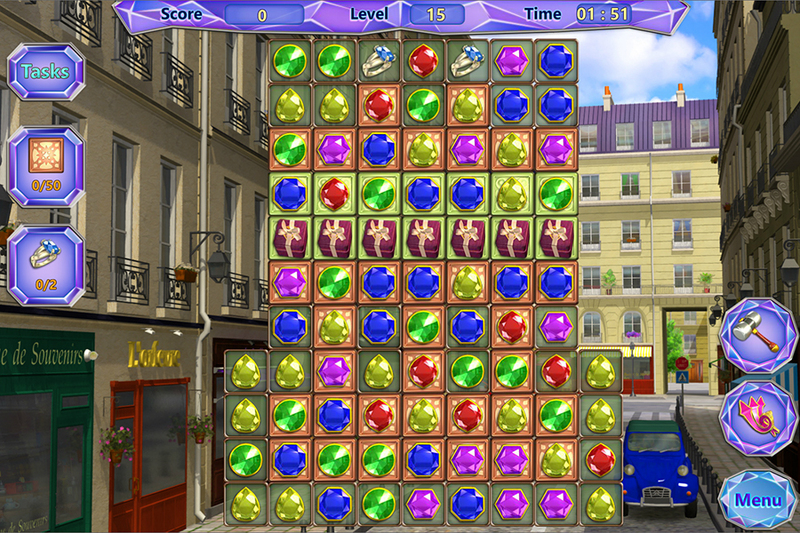 Collect three or more identical jewels in the horizontal or vertical line and they will disappear. To pass to the next level you should complete all level tasks.